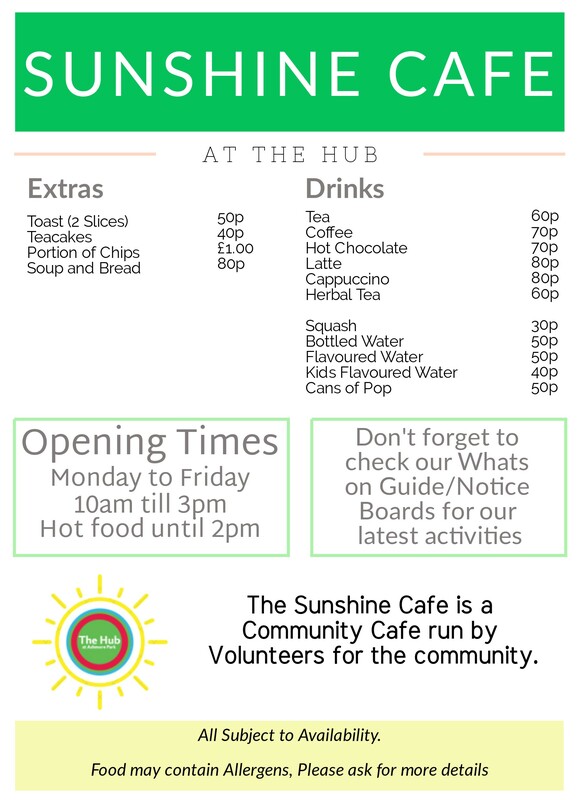 Our community café is staffed from 10am to 3pm, Monday to Friday by volunteers and serves a range of refreshments including hot and cold drinks, bacon sandwiches, baked potatoes and daily specials. So why not pop in for a drink or a bite to eat? Whilst you’re here you could borrow a book from the Library, or make use of the free public wifi. 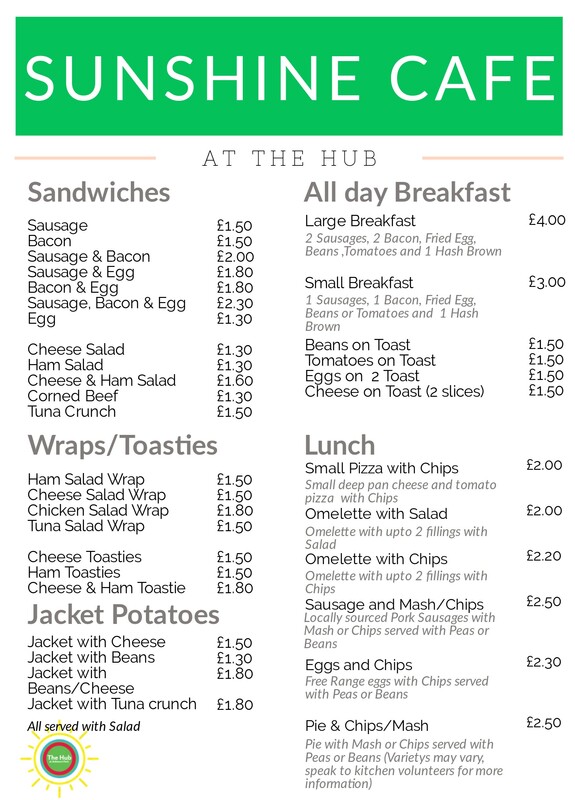 Refreshments can be ordered from the café and delivered to all meeting rooms and the kitchen can also be used if you’re hiring our facilities for parties. All kitchen volunteers have either a level 1 or level 2 food safety hygiene certificate and in December 2014 the café was awarded a 5 star food hygiene rating by Wolverhampton City Council’s Environmental Health Dept. *Please note: hot food is only served until 2pm.